The TRADE > News > Available to trade or forced to trade? Available to trade or forced to trade? Almost two-and-half years after the G20 recommended mandatory OTC derivatives clearing and on-exchange trading, the details of how swaps will be made available to trade are currently being firmed up by regulatory agencies in the US and beyond. So as political leaders’ 2012 year-end compliance deadline swings into view, how should the buy-side expect to be trading OTC derivatives? As pleasant as the phrase ‘available to trade’ sounds, the measure born from the Dodd-Frank Wall Street Reform and Consumer Protection Act is the way the federal agencies way will force certain swaps to be traded through newly-created swap execution facilities (SEFs). Besides broad brush strokes, what exactly will be made available to trade has not yet been confirmed by the Commodity Futures Trading Commission (CFTC) or the Securities Exchange Commission. While few market participants still rile against forced on-exchange trading, there is continued disagreement over how similar these instruments need to be. On one side of the argument are those – like the International Swaps and Derivatives Association – which believe only those instruments that are fully fungible should be made available to trade on SEFs. On the other side are those who think that as long as swaps are broadly economically equivalent, then there’s room for the instruments to trade electronically or on dedicated platforms. Christian Martin, chief executive of TeraExchange, believes the line should be drawn closer to the latter. Late last year, the New Jersey-based start-up launched one of the world’s first central limit order books for OTC cleared derivatives. The SEF offers access to both underlying and related exchange-traded instruments, as well as all cleared OTC derivatives, including interest rate swaps, credit default swaps, energy swaps, non-deliverable forwards and equity swaps. At a public roundtable last week between CFTC staff and industry experts, Martin said three years on from the G20’s 2009 mandate, there was now less friction against the inevitability of mandatory OTC derivatives clearing and on-exchange trading. “The fait accompli is here and the discourse has turned to how it should be accomplished and the granular details of making it work,” said Martin. Martin believes the purely fungible approach to migrating swaps is far too restricting and would mean two assets would need to have exactly the same risk measurements to be made available to trade on a SEF. Instead, he advocates a wider definition of economically equivalent. Martin also argues that if only fungible instruments were made available to trade on SEFs, fewer appropriate instruments would migrate. He maintains that the federal agencies understand this, having two years ago undergone the analysis of economic equivalency for non-fungible assets when New York Portfolio Clearing (NYPC) was set up. Then, Martin maintains, the regulators determined that futures against offsetting cash positions can receive margin relief at NYPC. The NYSE Euronext and Depository Trust & Clearing Corporation joint venture began operations in March 2011, as a clearing house dedicated to the cross margining of fixed income futures with fixed income cash securities. “For margin relief involving swaps and some other asset class, you need economic equivalency, but in no way are those assets fungible,” he said. 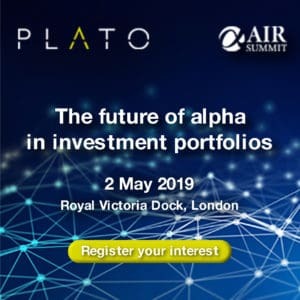 Michael Cosgrove, managing director of strategic initiatives in commodities and energy at GFI Group – an inter-dealer broker specialising in OTC derivatives – agreed a looser definition than purely fungible instruments would be adequate. For buy-siders, the question isn’t just one of what they will be able to trade, but also how they will be able to trade. At last week’s public roundtable, Cosgrove was invited by CFTC staff to represent the Wholesale Markets Brokers Association on a panel which discussed the issue of how OTC swaps should trade in a newly regulated market. Cosgrove’s main message was that the Commission should observe the letter and intent of Dodd-Frank, which specifically permits the execution of all swaps “by any means of interstate commerce” – including voice and electronic trading. Cosgrove believes that if the CFTC “obeys the law”, then a far broader range of swaps will be suitable for the ‘made available for trade’ designation that commits those swaps to trading exclusively on regulated markets – SEFs. 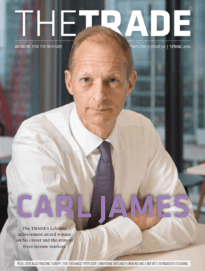 Cosgrove admits many of the current OTC swap markets can be characterised by “episodic” liquidity, but warns against a headlong rush toward wholesale abandonment of current practice. Originally due in July 2011, the rules for SEFs have been delayed, following an announcement by the Commodity Futures Trading Commission chairman Gary Gensler in September that the final rules for SEFs would not be implemented until 2012. The regulation had also previously come under attack from Craig Donohue, head of Chicago-based derivatives exchange CME Group, on the basis that it does not take sufficient account of the costs and benefits of the proposed new rules.